The Coast Guard is trying to juggle traffic flow into San Francisco’s busy port and pressure from environmentalists about its impact on marine sanctuaries where mammals feed. 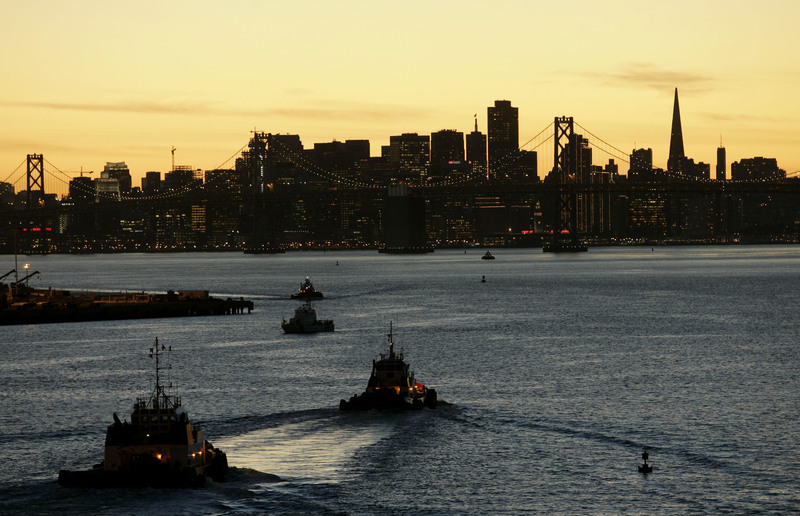 San Francisco’s ABC affiliate reported earlier in the day that traffic is picking up into the Port of San Francisco and ships are zipping to and from the approach lanes to the bay at about 25 knots. As a result, the Coast Guard is seeking the public’s input, trying to balance the saving the whales and commercial realities. Faster ships and more whales are converging in an area near the Farallon Islands, where feeding grounds and shipping lanes converge. There is a new effort to reduce a growing number of whale strikes. One ship didn’t realize a whale was impaled on the bow until it cruised into port last August. Earlier in October, an endangered blue whale and its fetus washed ashore in San Mateo County. The National Marine Fisheries Service says so far this year six whales have been struck by ships — three were endangered species. Environmentalists suggest a 10-knot speed limit in the disputed shipping lanes to allow the whales time to avoid being skewered. But shipping companies are concerned slowing down would impact tight delivery timetables, according to the report. Representatives of the shipping industry declined to talk on camera, but they say restricted speeds to 10 knots would definitely affect their tight delivery schedules. “They all have a very complicated logistics chain, so it’s planned very carefully and disruptions of it are problematic,” says U.S. Coast Guard Capt. Patrick Maguire. How many ships passed the Farallon Islands at 25+ knots between 1938 and 1947? And why are there any whales left, 50+ years later?